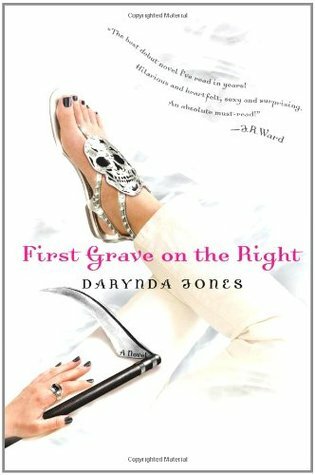 Today I'm featuring the opening paragraph and a teaser from First Grave on the Right by Darynda Jones. I'd been having the same dream for the past month--the one where a dark stranger materialized out of smoke and shadows to play doctor with me. I was starting to wonder if repetitive exposure to nightly hallucinations resulting in earth-shattering climaxes could have any long-term side effects. Death via extreme pleasure was a serious concern. The prospect led to the following dilemma: Do I seek help or buy drinks all around? This is a different kind of book for me, and the opening paragraph is a definite attention grabber. It's a quick read with humorous lines generously sprinkled throughout. First Chapter ~ First Paragraph #70 and Teaser Tuesdays was originally published by Catherine for bookclublibrarian.com. This post cannot be republished without attribution.